My friends joke that my wife and I are para-coaches because in Russian “para” sounds like a couple. That’s it; we are a couple of coaches. Coaching is interesting science, and the main idea is that everything that happens with people has a profound meaning and everyone always does the very best that they are capable of at the moment and that any person always has the resources to solve their problems. The task of a coach is to help a person gain access to these resources. One of the problems that whall my annoyed me was excess of weight. How long I’d remembered myself, since kindergarten, I always had a few extra pounds. More or less … but always. I could return from the mountain hike without 10-11 kilograms, and a month later I found out that everything was back. It’s not that I’m too worried about it. In any case, this didn’t prevent 44-years of my mountaineering, ascending to six and seven thousand summits. It also did not prevent me from marrying the world’s best woman, who gave birth to two amazing, brilliant and beautiful children. But, when doctors say that excess weight is harmful, they, in general, do not lie. The blood pressure lasted four years somewhere between 190 to 140 and 140 to 90, a headache every night. So the doctors’ persistent recommendations to start taking Cordarone, accompanied by a significant rolling of the eyes and in an undertone pronounced by the mantra: «It does not reduce potency», did their thing. In my 52 I became worried about this problem. I approached it as an engineer and coach. If something happens, it means that something is needed. Why can there be the big pressure of oil in the hydraulic system? To pump the liquid through all the many pipes. What should be done to make the pressure of liquid unnecessary? Reduce the size of the pipeline network. So – to lose the weight. About half a year ago, my wife and I finished our studies with the great Maria Stepanenko and received our coach diplomas. From two groups of about 15-20 people, a degree of a professional coach, giving the right to work with clients, got no more than seven or eight participants, which gave us the confidence that we really can do something better than others. My wife, at this moment, also found a few extra pounds on her body. A woman who has seen herself with extra pounds got a terrible force. 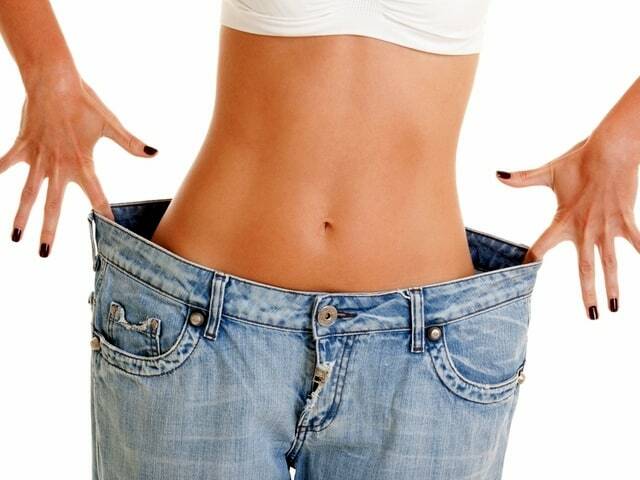 It is not surprising that a technique that allows letting go of extra pounds had appeared. It was based on several «reinventing wheels». 1 — The body, mind and soul are a unified whole, and one couldn’t work with just one thing. Body practices long ago had found their place in working with the psyche. And if you need to correct the body, you have to work with your soul and mind. 2 – The foundation of any behaviour is a positive intention and behaviour uses it to reach the best with methods available for the person now. That is, we all want something good for ourselves. Everything that we do is aimed at achieving this «something good», with the ways that are available for us now. Do you remember the idea of coaching? Everyone always does the best they can. 3 — Any visible manifestation is a symptom. Accordingly, excess weight is a symptom and expression of behaviour by which a person achieves something essential, important, which is impossible, from the point of view of their unconscious, to get with any other way. And by the way, this is the MOST ecological way, at this particular moment, to achieve this result. All the rest will be even more destructive. Therefore, the first step that had to be taken to stop holding these damn kilograms was one or more coaching sessions to help the unconscious get a better way to achieve this positive intention. Of course, one couldn’t do it without supervision, because everyone is in a blind spot. Only Munchausen was able to pull himself out of the swamp. You have to look at your unconsciousness. Otherwise, all the rest will be meaningless. You remember, we always do the best. It does meaning that if we don’t let go of our weight – it is the best for us. If you don’t understand the reason, your kilos will return — and this is the most ecological option. Or the unconscious will choose some other way, and it will be worse. And finally, only the third step is to work with the body. We must somehow show it, how much food really is needed. Every diet will be suitable. If the first two steps are passed successfully, any diet is perceived as an entertaining game. I counted calories. I’d tried this before, and it had been a rare tediousness, utterly impossible. After the first two steps, it became a cool game. I liked this because it’s easy to adjust the speed of weight reduction. My wife calculated something and said that according to my weight-growth-age-volume wrist-physical activity and something else, there were enough 1700-1900 calories for me. 1700 is the boundary. If I had less, the weight would slowly go down. If more, it would remain the same. And in March 2015, at a weight of 93 kg with an increase of 172 centimetres, I weighed the first carrot. It was funny, I even drew the Microsoft Excel file and wrote down the eaten food. Sometimes there were situations when I could not control myself, for example, when for a few days I leave to conduct workshops. Weight these days stood. Apparently, after the first two steps, the body perceives every «new reduced weight» as «right». On average, I was loosing about a couple of kilograms a month. By the way, it is perfect speed. Visceral fat keeps the internal organs, that’s why it is necessary to give time for muscles to take this role on themselves, so all your «giblets» don’t shower. Approximately in June, after the first 10-12 kilograms, I realised that my head does not hurt anymore. The tonometer showed 118 at 78. Nearly in August, I realised that the diet was no longer needed and I finished it. The body now knows how much to eat and when to stop. The last kilogram ran away in Turkey’s Kemer, with tuna, freshly caught and freshly-burned shrimp, fresh ripe figs, strawberries, olives, homemade cheese and hot bagels.